Here's a quick sewing project I worked on yesterday. 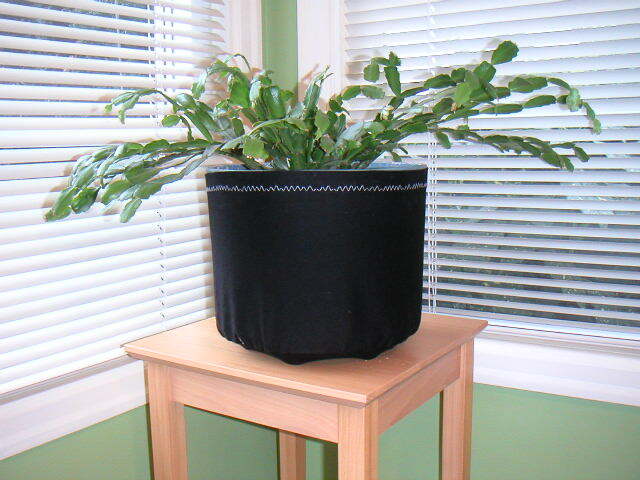 I had this great cactus plant in this ugly, dirty blue pot and wanted to camouflage it. So I sewed up this cover via directions from IKEA (in the Curtains catalog), which Megan posted about last week. My cover just barely reaches the top of the pot because I had to replace the saucer that was cracked and leaking. 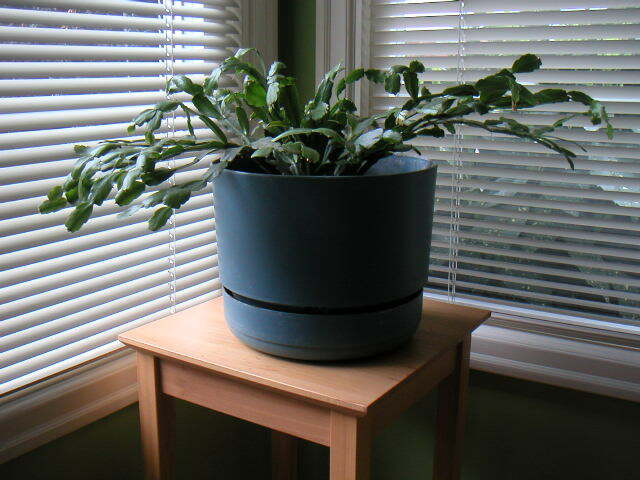 The new saucer added a few more centimeters to the pot height. I was wishing my fabric stash had more cute patterned scraps that had been larger!